NEWPORT BEACH — At a special meeting held Sept. 12, Newport Beach City Council members voted 4-3 in favor of a tidelands fee increase for commercial marina operators. 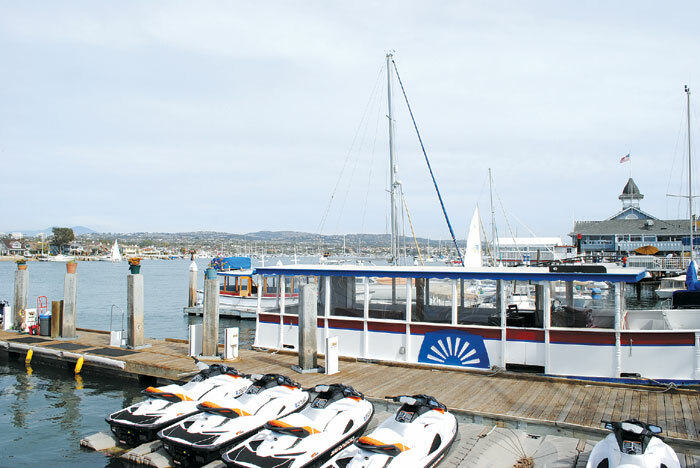 The increase is scheduled to be assessed on Newport Harbor marina operators over a seven-year period starting in 2014. It effectively increases rent on marinas from a $.36 per square foot fee to an assessment of 20 percent of the marina’s gross revenues — roughly calculated out to an average of $2.52 per square foot — about seven times the current rent for local marina operators. The meeting was attended by multiple marina business owners, who challenged the council’s decision to move from a square footage fee to a percentage of the marina’s gross revenue, and also questioned the severity of the rent increase. Councilman Ed Selich, who heads the ad hoc committee tasked with looking at harbor charges, defended the 20 percent of gross revenue charge, pointing to two marina appraisals — one conducted by Costa Mesa-based Netzer and Associates and one by San Diego-based Rasmussen Appraisal Services. Those two appraisals determined that commercial marinas with tidelands not joined to uplands should be charged rent at around a 17 to 20 percent of the marina’s gross slip revenue. Throughout the process, the city, which operates as landlord of the tidelands for the state of California, has stated its intent to get the harbor fees up to fair market value — a state mandate that requires the harbor to charge tenants an up-to-date fee on their use of public tidelands. Otherwise, it could be seen as a “gift of public funds,” prohibited by the California State Constitution. In order to alleviate the immediate impact the rent increase will have on commercial marinas, the city plans to phase in the charges over a seven-year period, starting in 2014. Another concern commercial dock owners have raised is that the change from a square footage rent determination to a gross revenue determination would require that the city have access to marina owners’ books and business records. Councilman Mike Henn proposed a “marina index” idea that would look at seven commercial marinas in the harbor, calculate an average 20 percent of gross revenue from those marinas, and use that number to create a square footage price for all commercial marinas in the harbor. Exactly which commercial marinas would be used in the index is still to be determined, as slip rates and revenues of higher-priced marinas could skew the index higher than the average marina charge, operators said. The topic will be examined further at the city council’s Oct. 11 meeting. The marina operators’ rent change will come with a change in business’ lease opportunities in the tidelands. The city will move from issuing moving from year-to-year permits to offering 5-, 10- and even 25-year leases. The 66-page lease template was reviewed at the city council’s Sept. 25 meeting, where many locals decried its complexity during public comments, and they cited multiple issues with the wording of the document. Issues mentioned during the meeting questioned lease terms, including the requirement of a security deposit, a 20 percent of parking revenue fee, maintenance reviews by the city, and how the city plans to adjust the marina index in the future. After reviewing the lease terms, the council moved to continue the item to the Oct. 11 meeting, and will have a revised lease document at that time, which will then be voted on by council members. Since 2010, the city has been working to adjust fees throughout the harbor. The mooring rates were increased by 300 percent in 2010, and the commercial marinas are now seeing an increase to their dock space fees. Other fees the city expects to review include those for marina commercial businesses on tidelands and fees for residential piers and docks adjacent to waterfront homes.